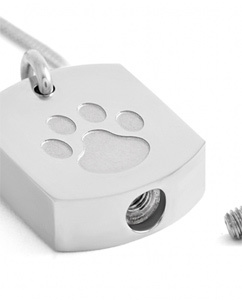 This classic unisex rectangle necklace urn with indented paw print design is a wonderful and discreet way for men or women to keep a token amount of ashes close to the heart, always. 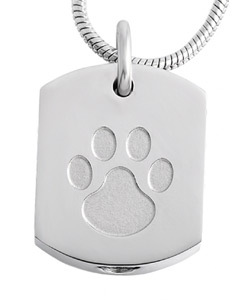 Made of high quality stainless steel in a silver-coloured finish. 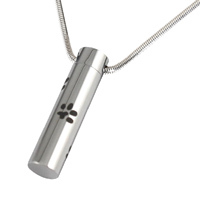 This memorial necklace has a small urn area inside for a little pinch of keepsake pet ashes. 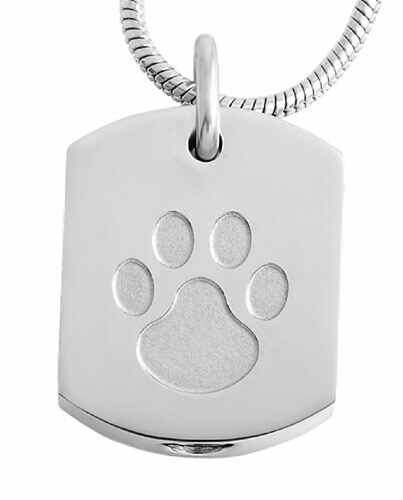 Made of high quality 316L stainless steel on 18 inch length chain. 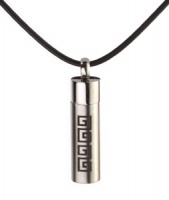 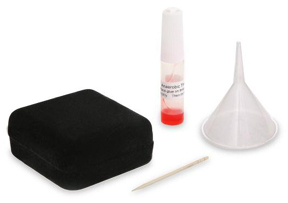 This unisex memorial jewellery urn comes complete with a funnel, sealant and box.